In the evolving world of channel incentives, it’s critical to position your channel rebates program as part of a unified channel partner incentives program. It’s estimated that IT and Telco vendors have spent over $70B in 2017 on channel incentives alone, with rebates composing a significant portion of this spend. In the current channel ecosphere, keeping the new buyer’s journey in mind is critical to the success of your channel incentive program, which means rethinking how you structure your rebates. 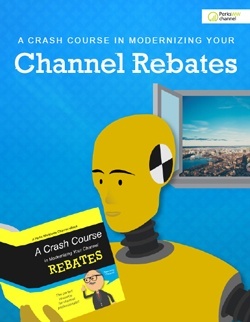 In our newest eBook offering, A Crash Course on Modernizing Your Channel Rebates, we outline the basic concepts of a rebates program, review nine best practices of a modern rebate program, and examine a comprehensive checklist to ensure program effectiveness.